Tomorrow we celebrate the anniversary of our first order for Hotel Bibles which was placed through The Gideons International on November 9, 1908. We have received many testimonies over the years of how God has used Bibles in hotel and motel rooms to comfort weary, hurting travelers. 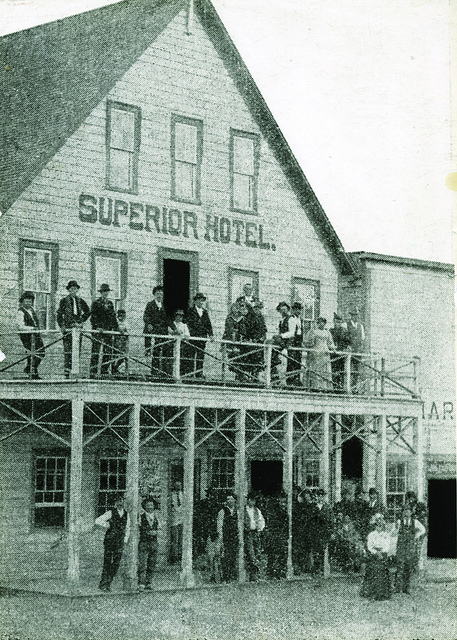 That first placement was made by Archie Bailey, who was a Gideon and a regular guest at the Superior Hotel in Superior, Montana. He approached the operator of the hotel and asked for permission to place Bibles in rooms. Permission was granted and Mr. Bailey placed an order for 25 copies of God’s Word with the Gideon headquarters. He covered the cost of the Scriptures with a personal contribution. Last year, Gideons placed 2,023,047 Bibles in hotels throughout the world. A single copy of God’s Word in a hotel or motel room has the potential to touch up to 2,300 lives during its six-year average life span. Hotel industry surveys indicate that 25% of their travelers read the Bibles in their hotel rooms. Hotels are just one of many approved areas of distribution for The Gideons International. Other locations include nursing homes, prisons and physician’s offices, as well as distributions in many other areas. We thank the Lord, as well as our members and donors, for making it possible for us to reach so many people throughout the world with God’s Word. THEY WOULD NOT LET ME BECOME A MEMBER SO. I ALSO MOST RECENTLY NOTICED BIBLES PLACED IN ROOMS AT THE LOCAL VA MEDICAL CENTER ?? The Bible distributers are doing a remakable work for God.I trutly like doing so and has worked wonders in the lives of many souls. Let us with joy the distribution of New Testaments in hotels. I was invited to a Gideons meeting after being sponsored by my pastor in 2013. At that time I was told I did not qualify. Not sure where the confusion was but I think it was embarrassing for us both. We parted ways after prayer. I never stopped believing in what the Gideons do. God’s word changes everything. This year I was invited back. The membership requirements have changed. I qualified this time and am busily going about God’s work in another avenue. I understand your frustration my brother but encourage you to give it another try. The requirements might seem a bit exclusionary but they exist for a reason. My prayers are with you as we both continue God’s work.